The Accent Series® is the preferred choice among architects. 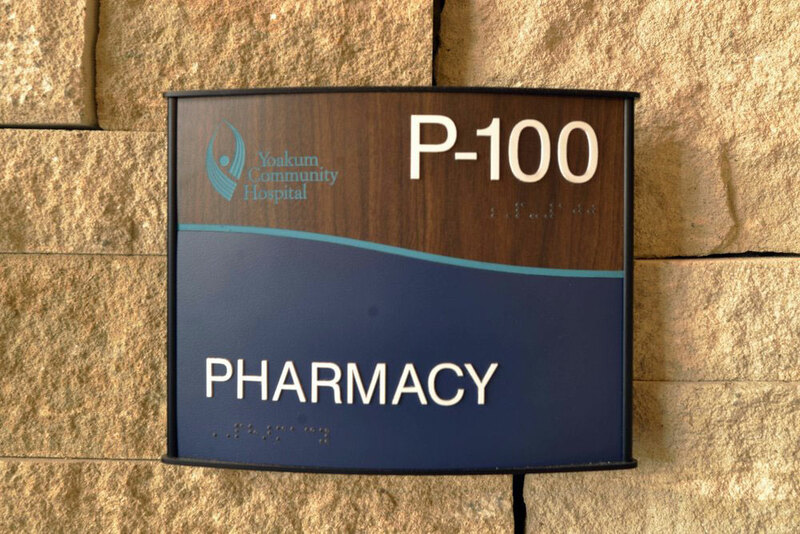 This sign system utilizes various plastic laminates such as WilsonArt, Nevamar, Formica, Pionite, etc. 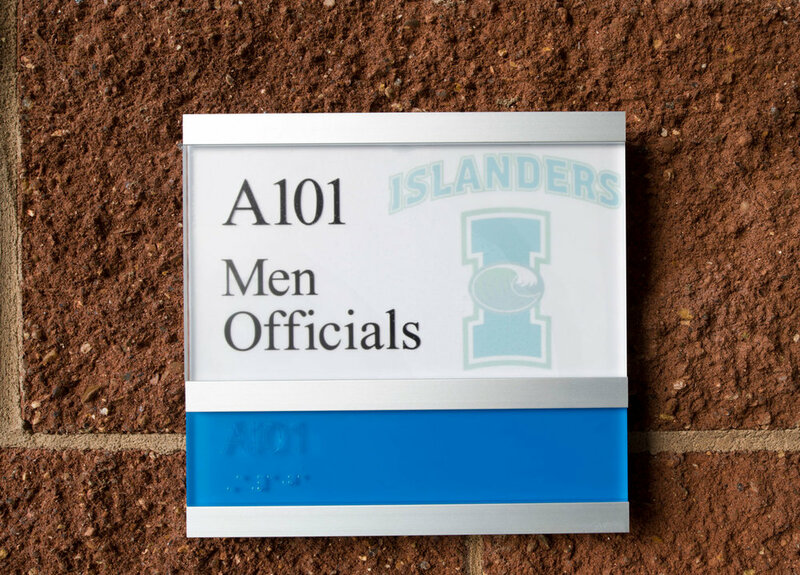 Through the use of laminates this sign system gives the architect and designer the same durability, patterns and color range as cabinet work and doors. The MAP (Matthews Acrylic Polyurethane) Painted Series gives the professional designer an exact color match to any decor. We have over 50,000 colors that we can match using our own custom paint matching system in our own professional spray booth. 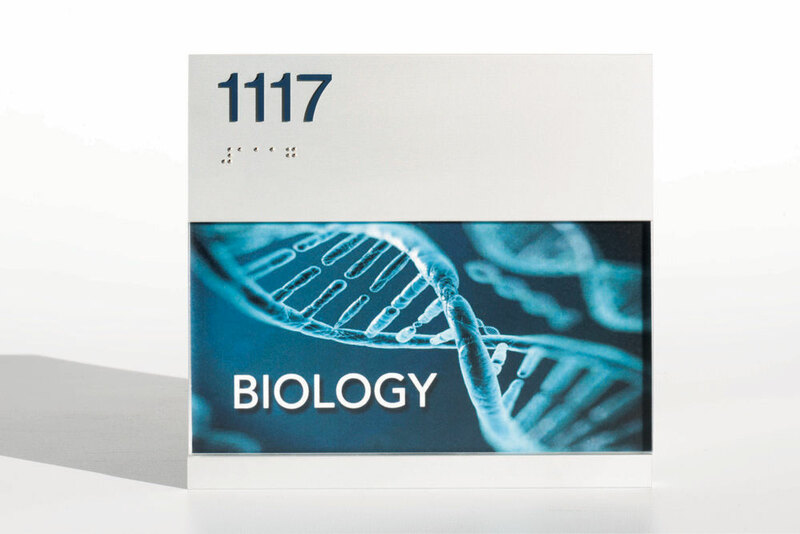 PoliTouch® is a one-piece photopolymer ADA compliant sign product. 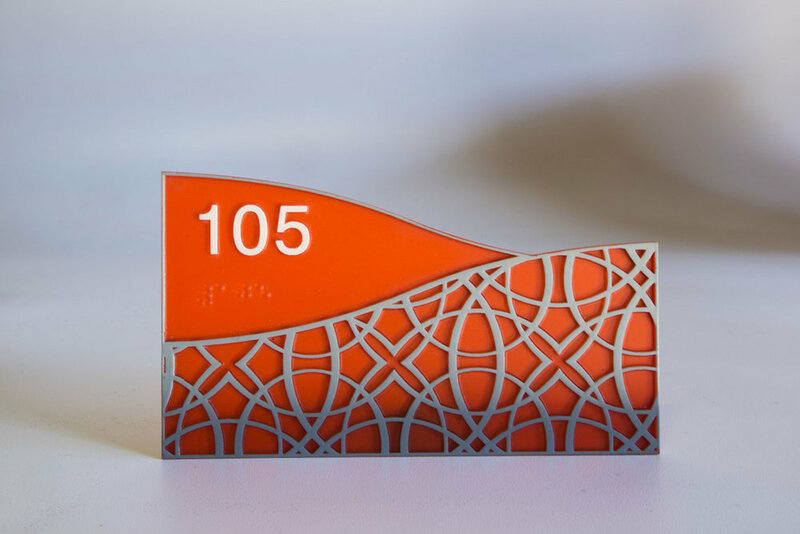 Choose from several Novacryl substrates including 3Form Ecoresin, patterned laminate brushed aluminum or photo-luminescent. 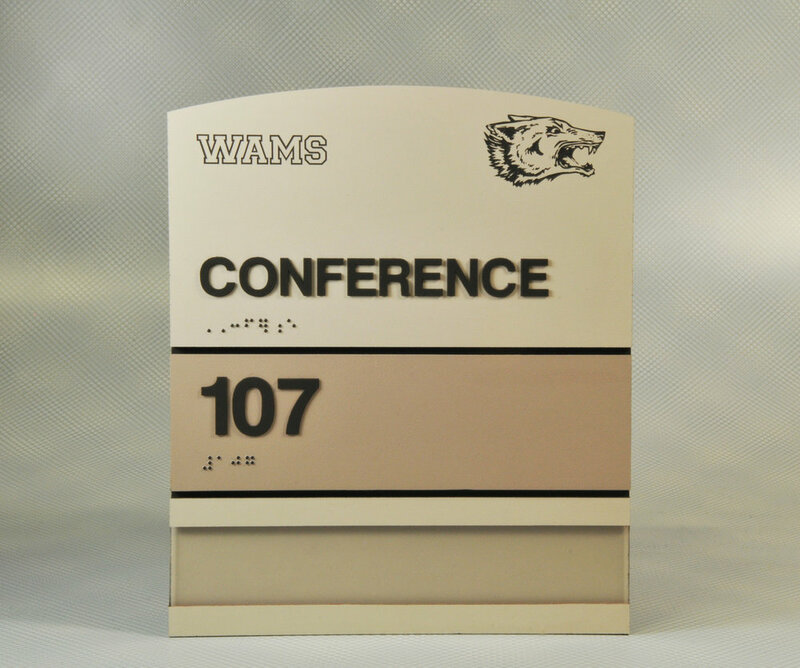 A clear base allows for a subsurface, digitally printed graphics or painted finish. Spinnaker® is a convex curved frame system. 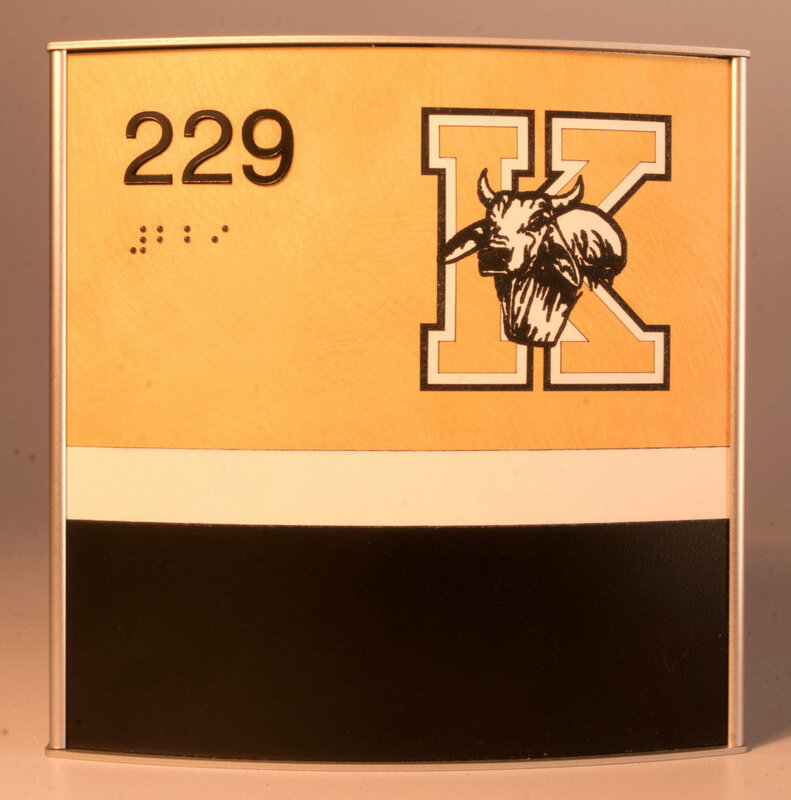 It is designed to handle a variety of graphic applications and substrates, including: printed paper, printed clear film, laminates and photopolymer. Spinnaker® is a complete system, suitable for interior or exterior environments. Frames are available in clear anodized aluminum or any Matthews Acrylic Polyurethane paint (MAP). 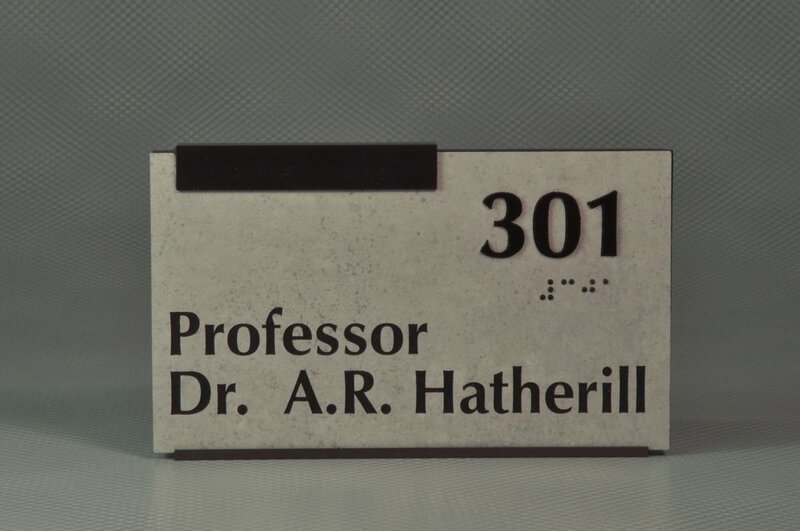 It has a photo-luminescent option and can include Grade II Braille and tactile copy. Alumiset® is crafted from extruded, anodized aluminum. The frame can be painted to match any interior decor and the message design is easy to customize and update. Lens options and finishes include: polycarbonate, acrylic, laminate, clear and non-glare. Lenses have mechanical set screws to help prevent theft and vandalism. 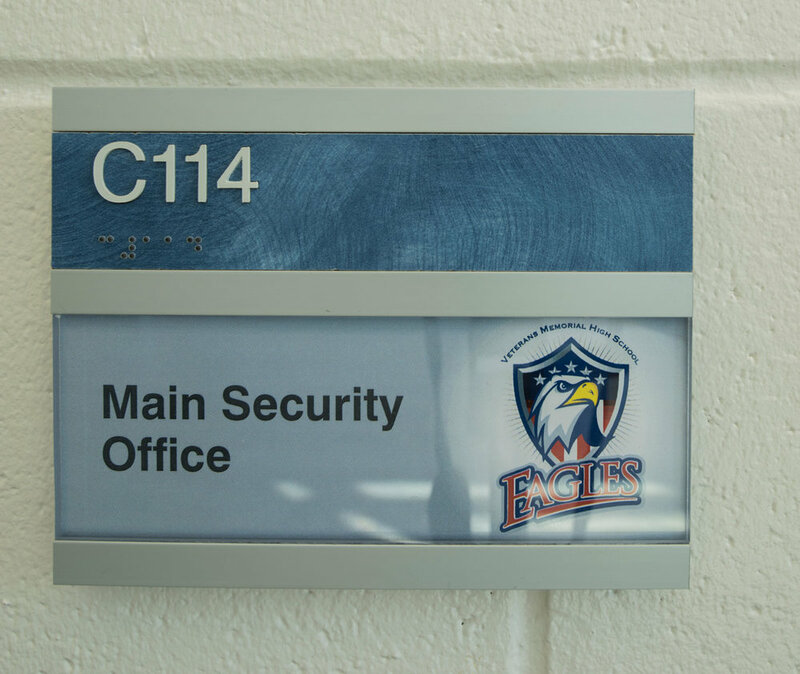 This system is ideally suited for federal institutions, healthcare facilities, educational and corporate environments. AlumiSet FX® is a part of the aluminum extrusion series, and the "FX" stand for "Fixed". 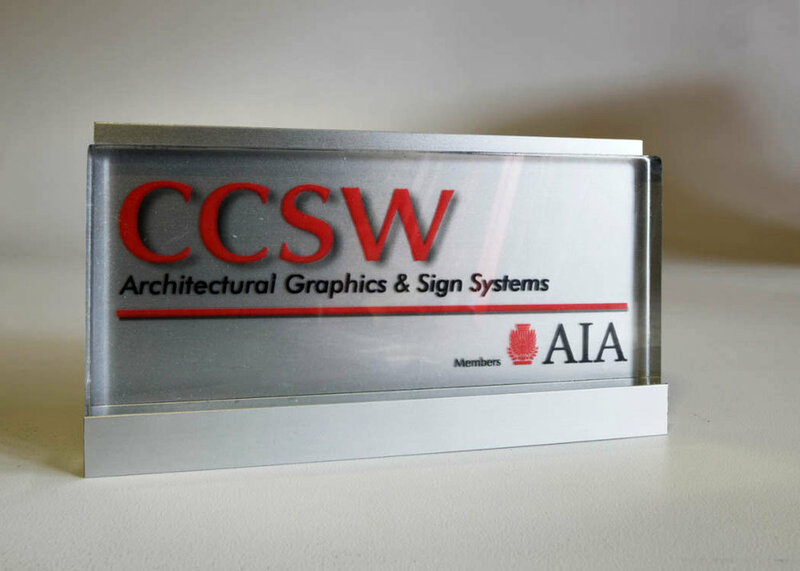 This sign system has a fixed header and is crafted using a one-piece, extruded frame. Lenses are secured with a mechanical set screw to help prevent theft. 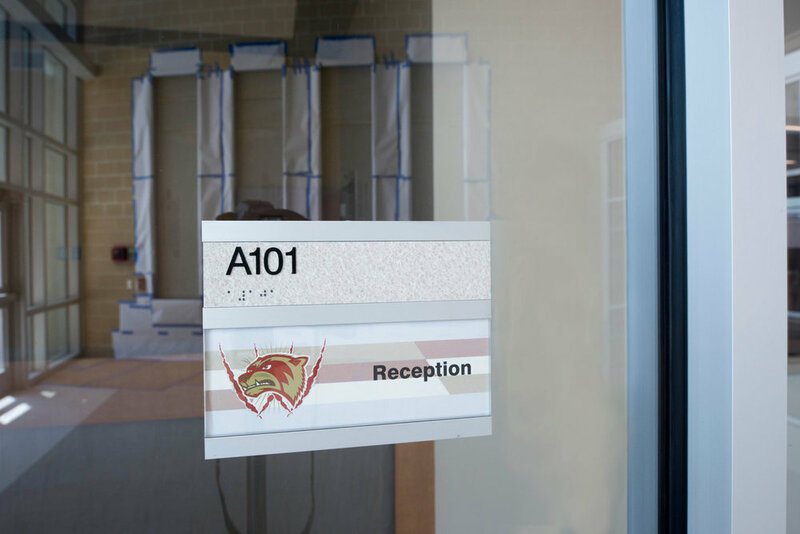 AlumiSet FX® is ADA compliant and ideally suited for corporate environments, federal institutions, healthcare and educational facilities. CS Series extrusions are aluminum, bronze anodized or painted. They can be a full frame or a partial frame. 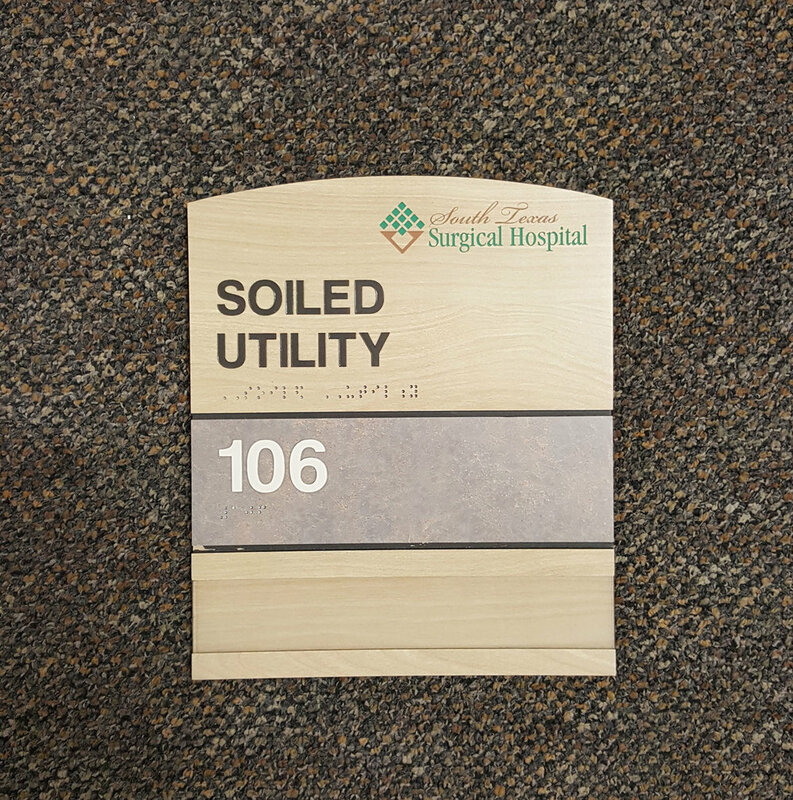 Sign panels can be laminates, acrylic, metal or photopolymer. This allows for total customization. MOD (Modular) Series are coordinating modular components of laminate, acrylic or photopolymer. A few or many pieces may be used to complete one unit. Pieces can be changed as needed. 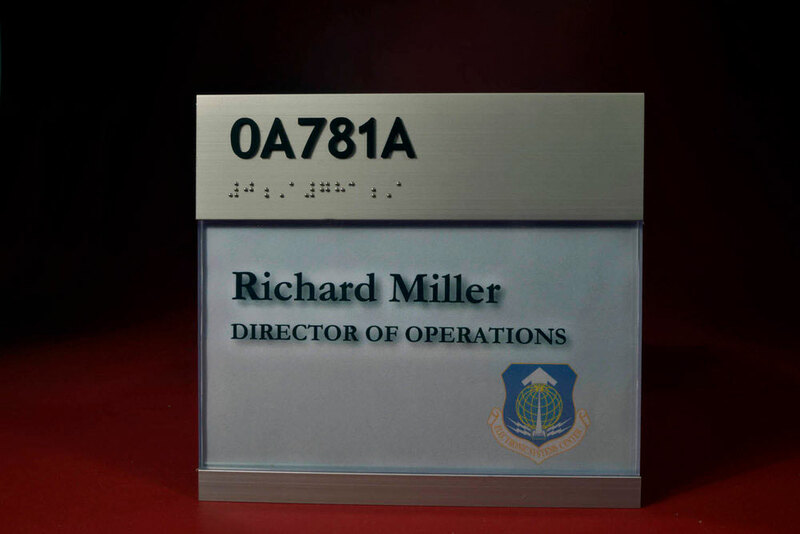 Components usually consist of room identification, room name and changeable message.